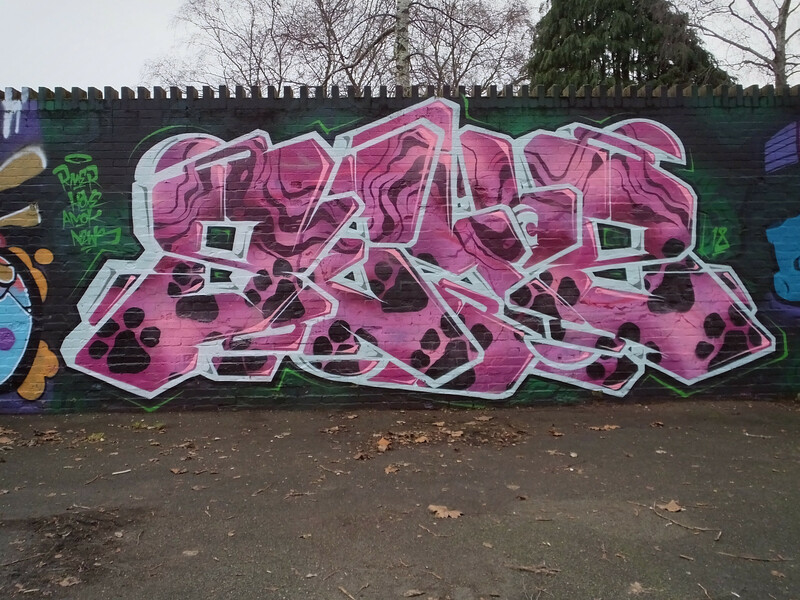 The first week of a new year and time for a fresh new paint to kick start 2019 in true flying colours. 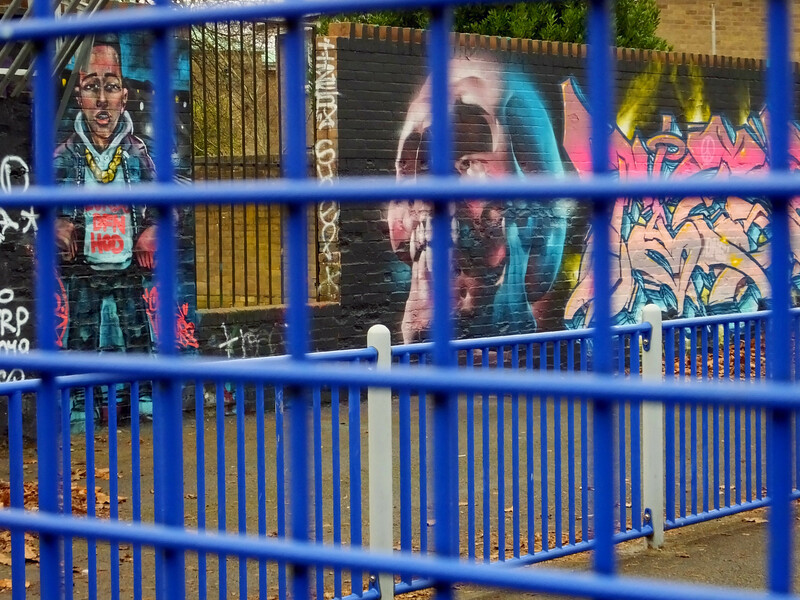 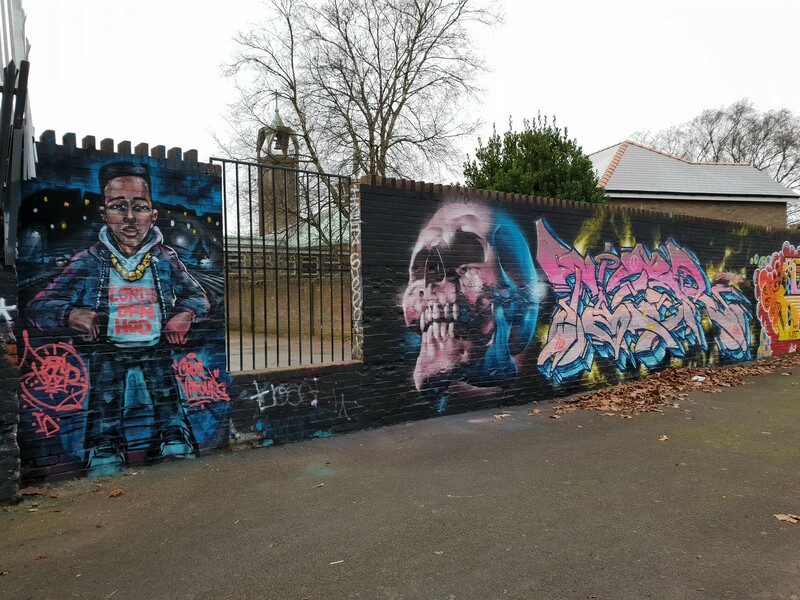 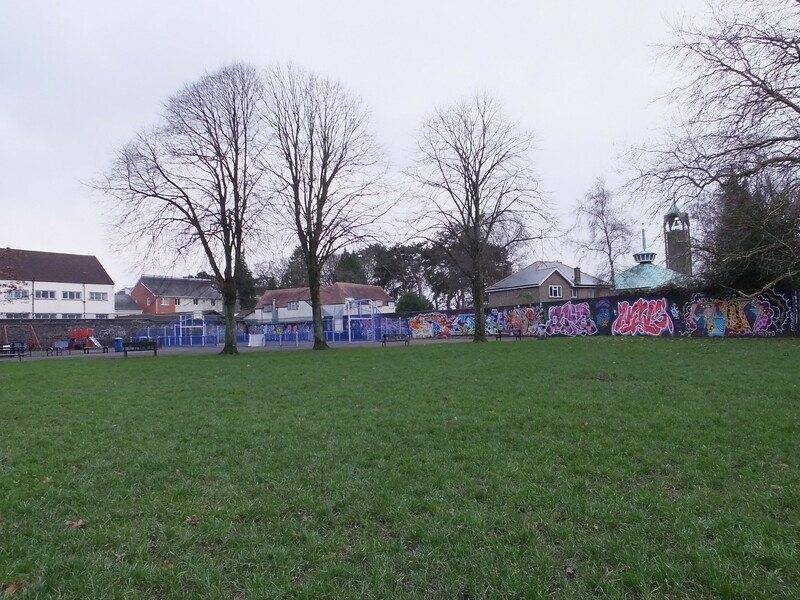 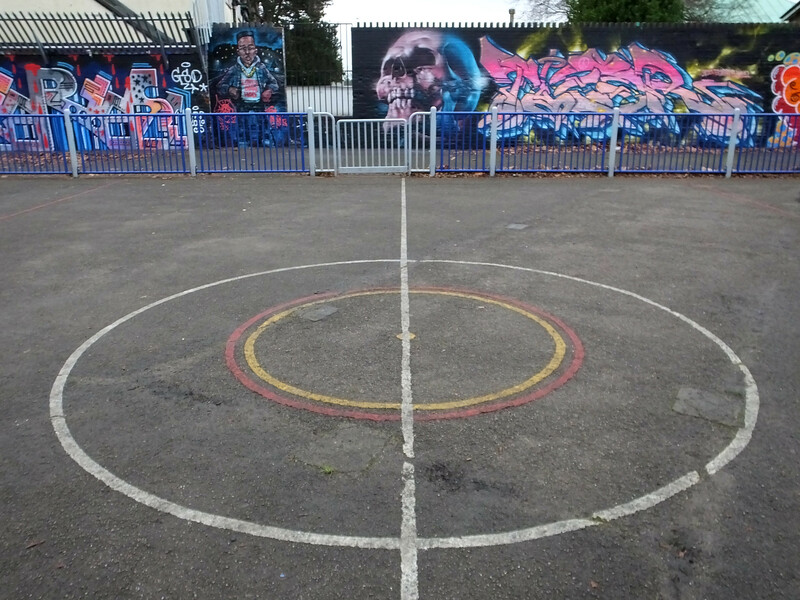 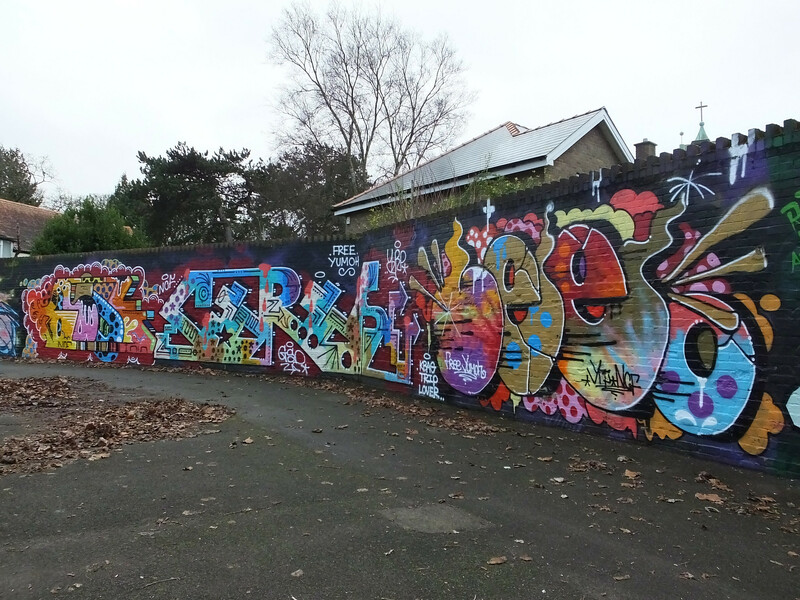 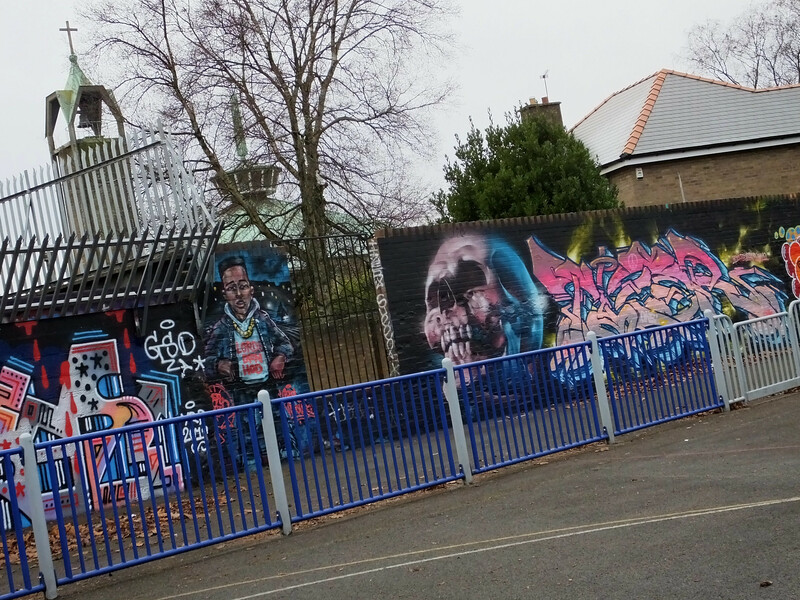 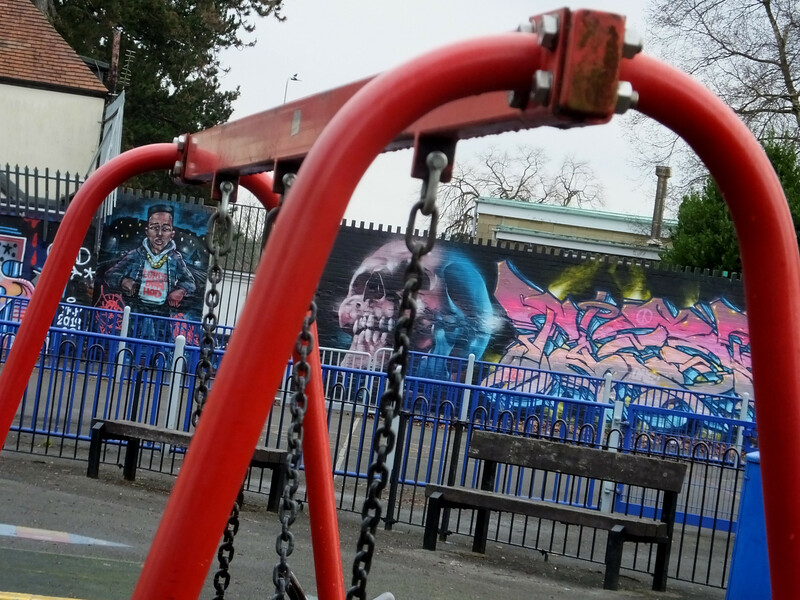 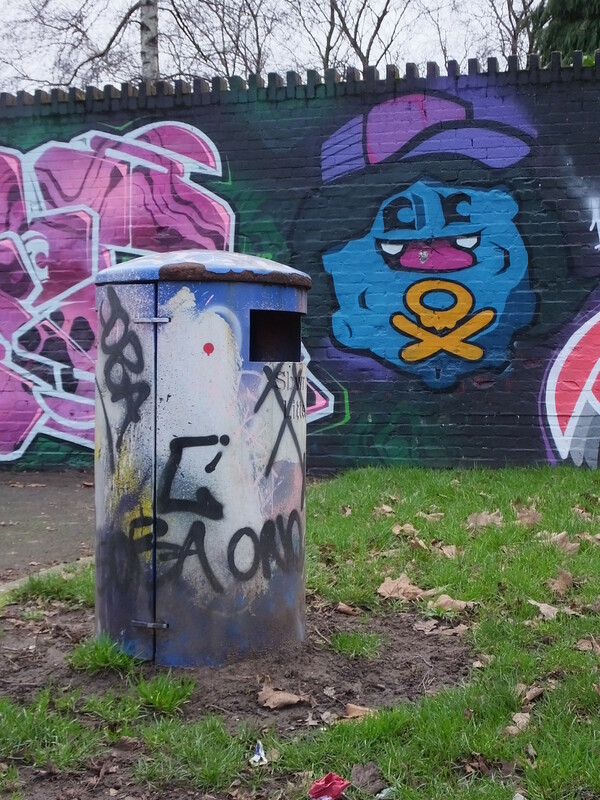 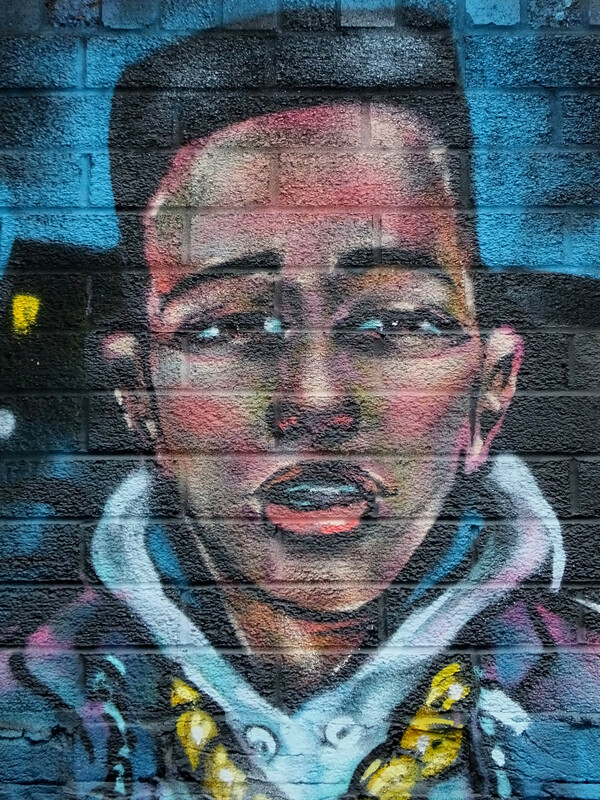 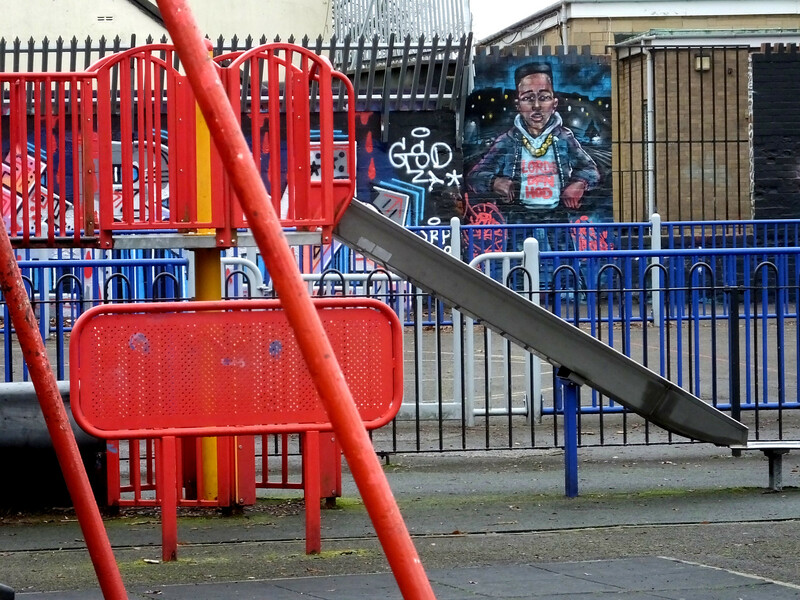 A range of Cardiff based street artists have painted here during 2018 with the remnants of their work still apparent in Cardiff’s Maitland Park many months later. 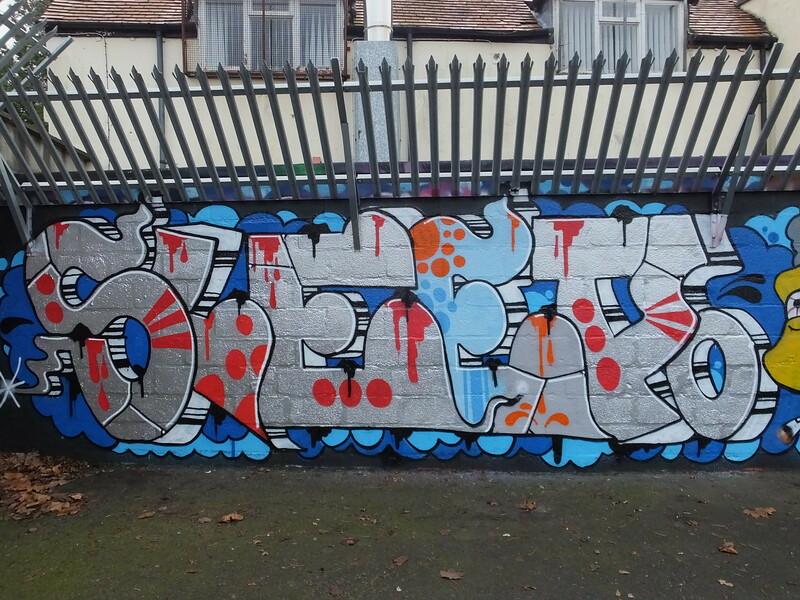 Pictured above is work from some of the Cardiff faithful including Somes, News and Sleep. 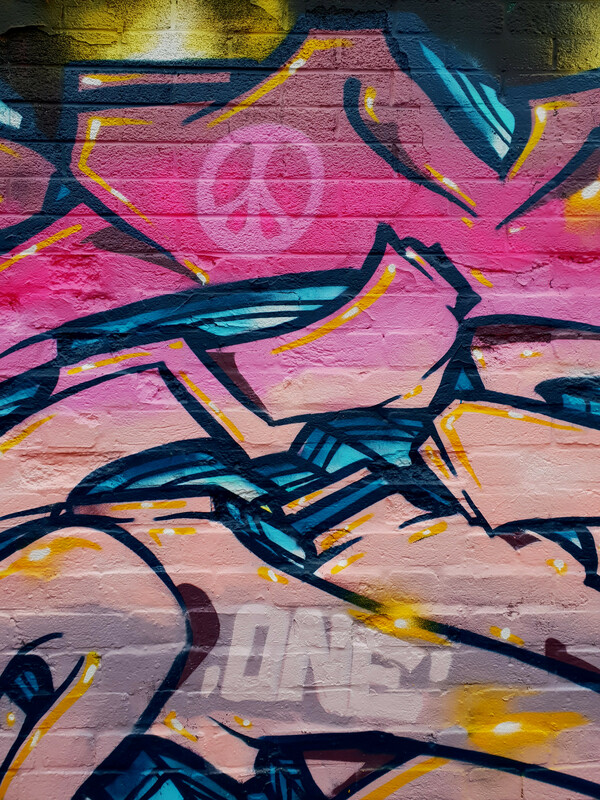 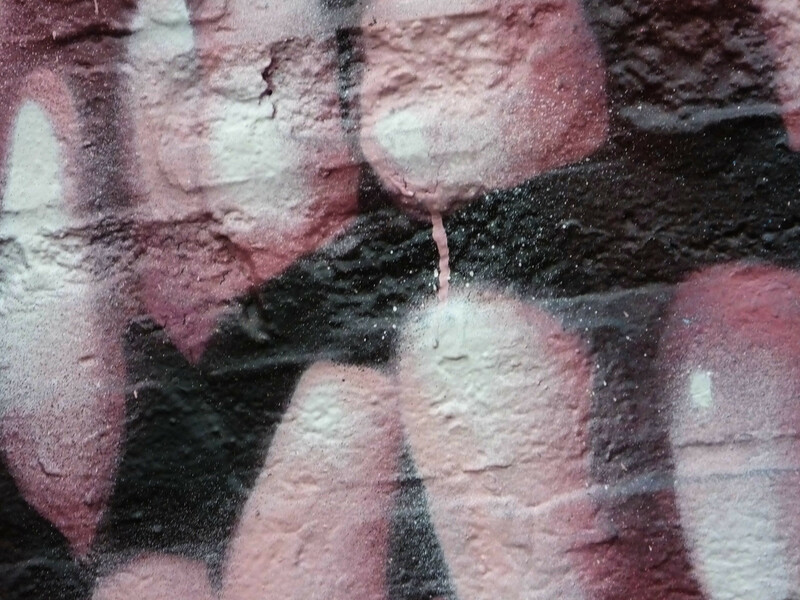 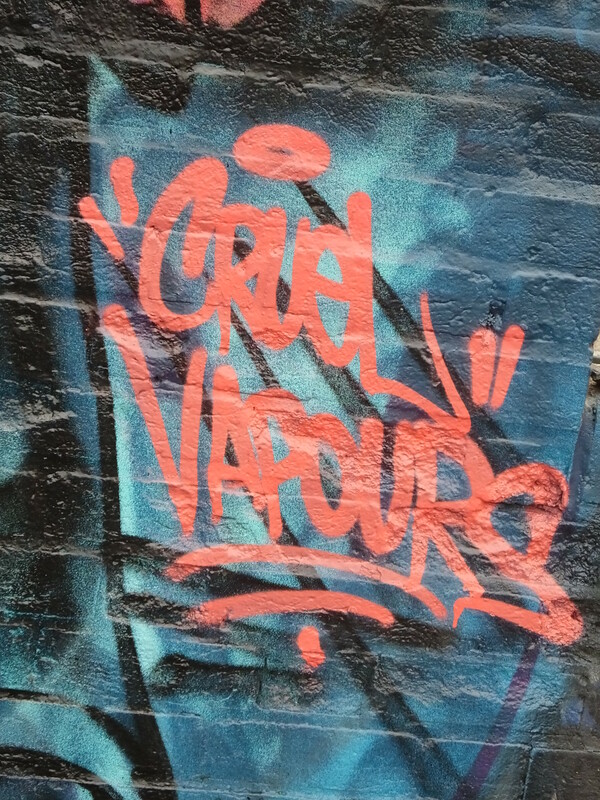 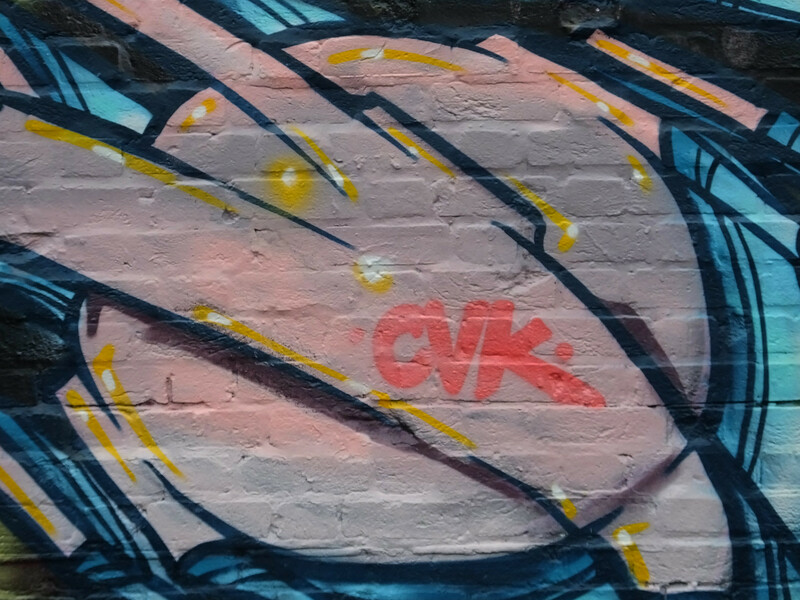 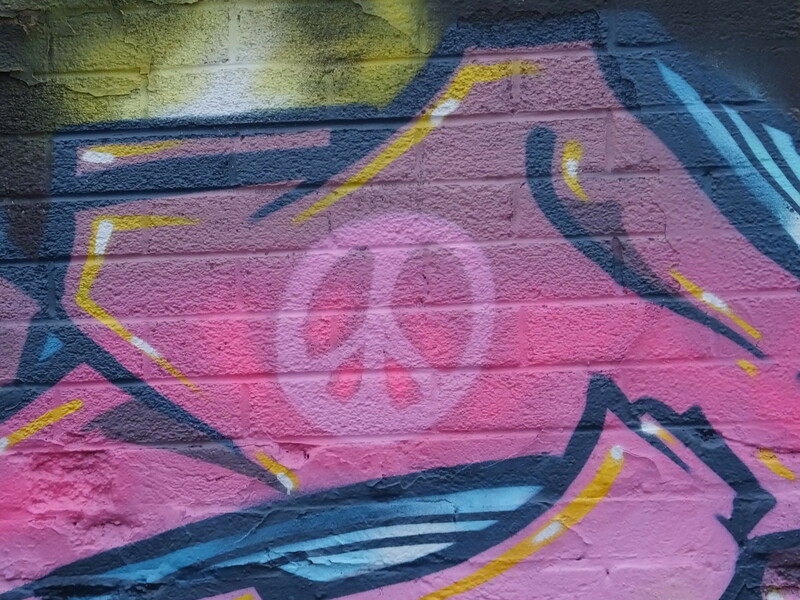 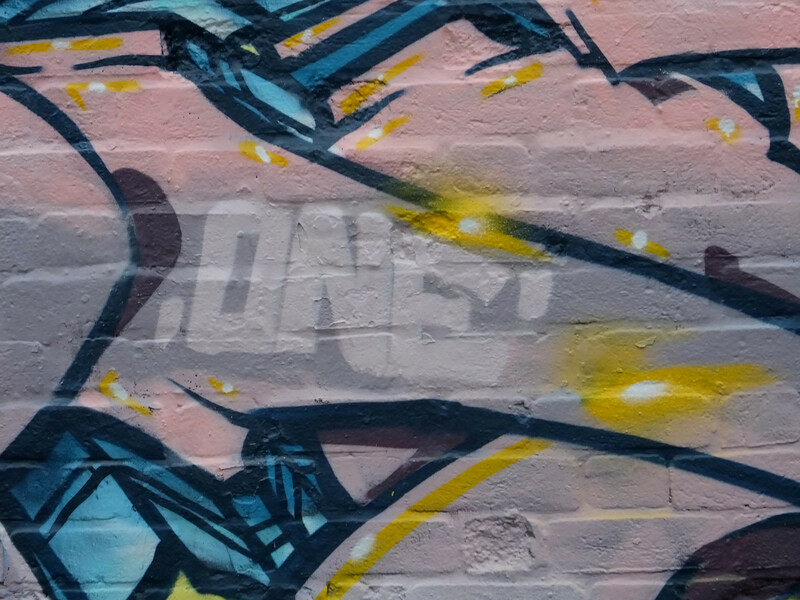 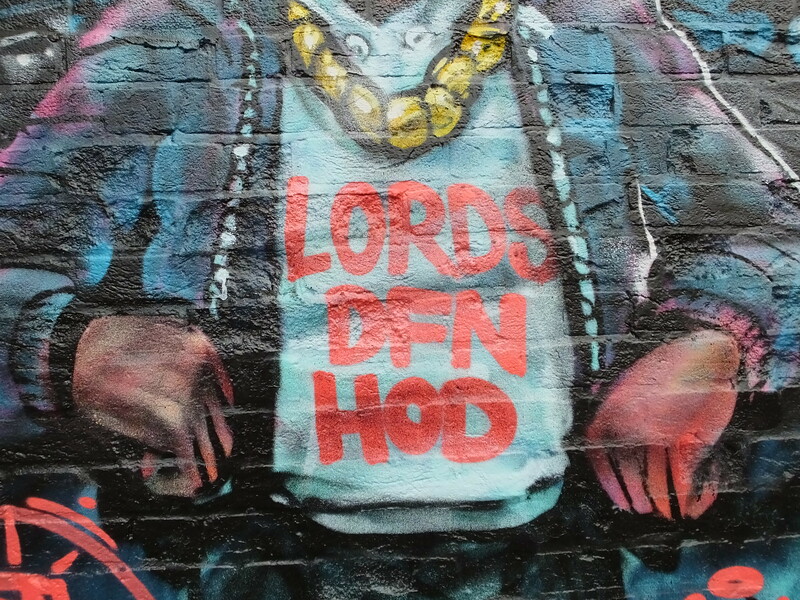 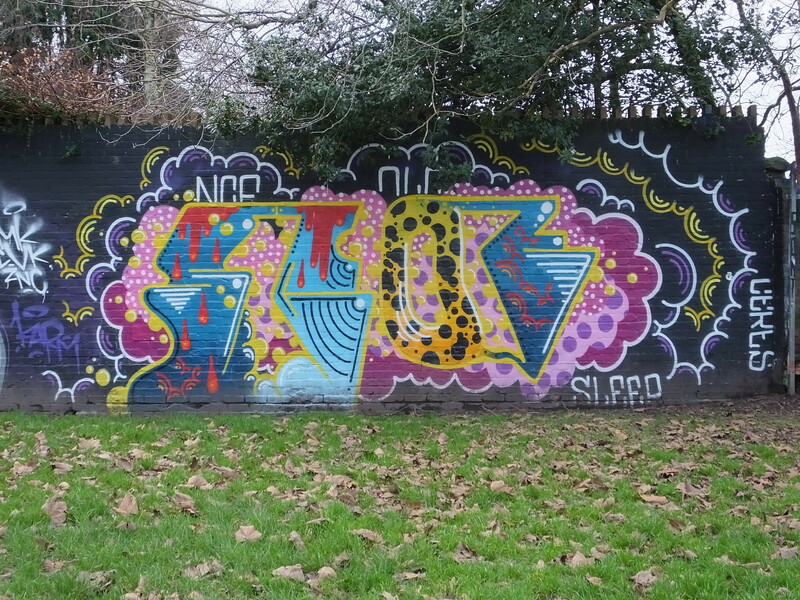 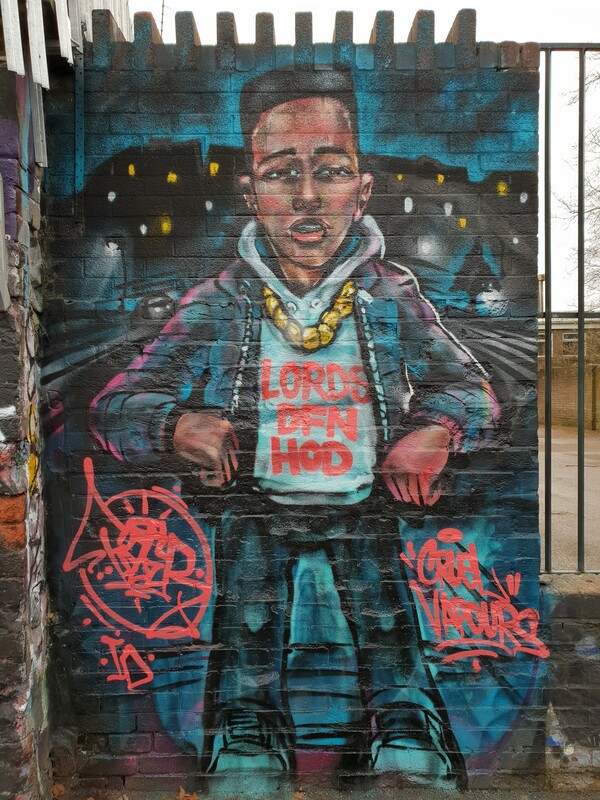 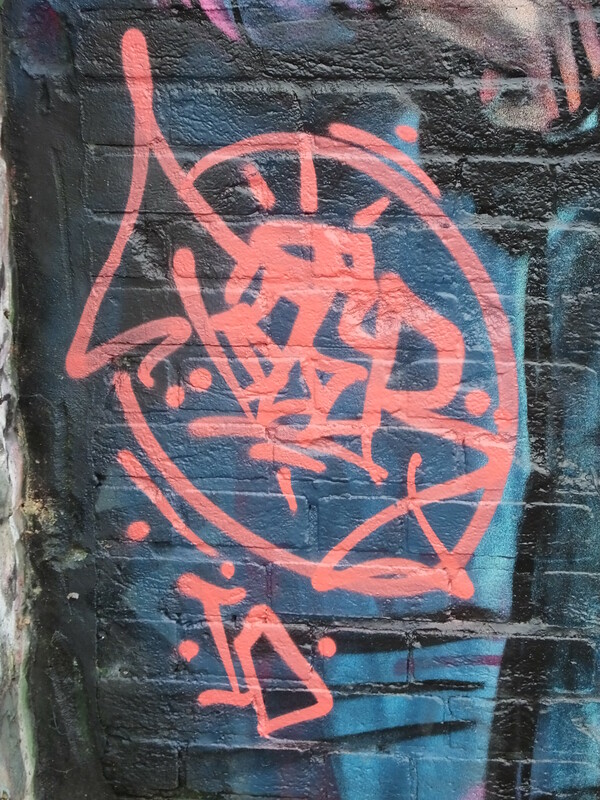 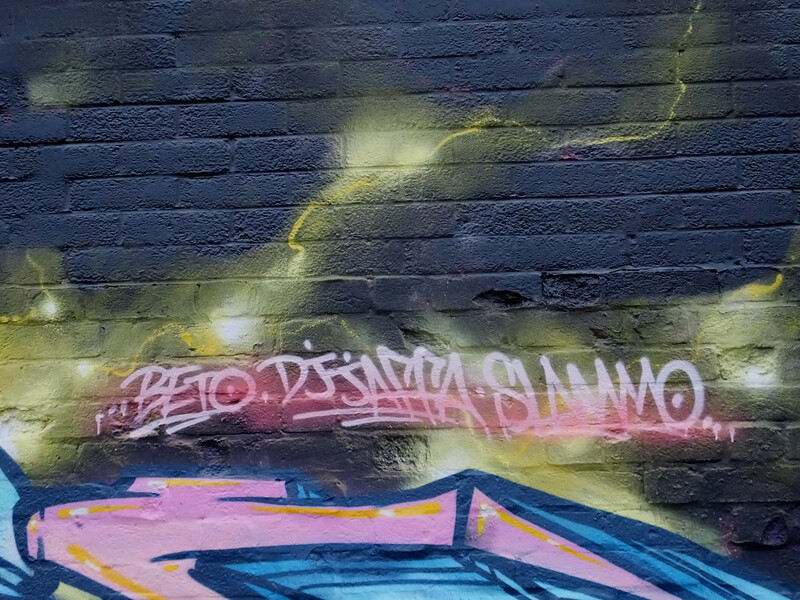 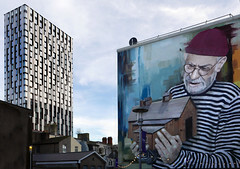 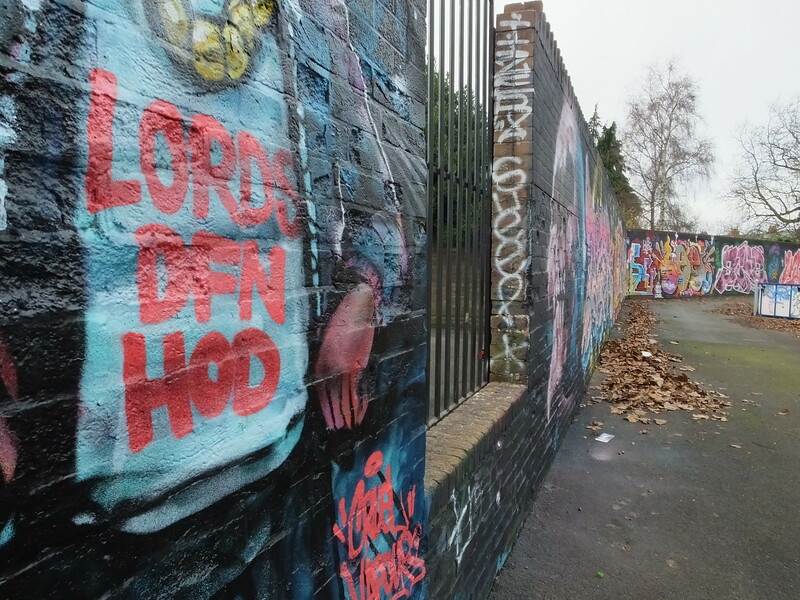 Whereas below Ceres, Slig and more Sleep colourfully fill the next wall painted in the Summer where they have paid tribute to the London writers Kbag, Lover and Trip who died in 2018. 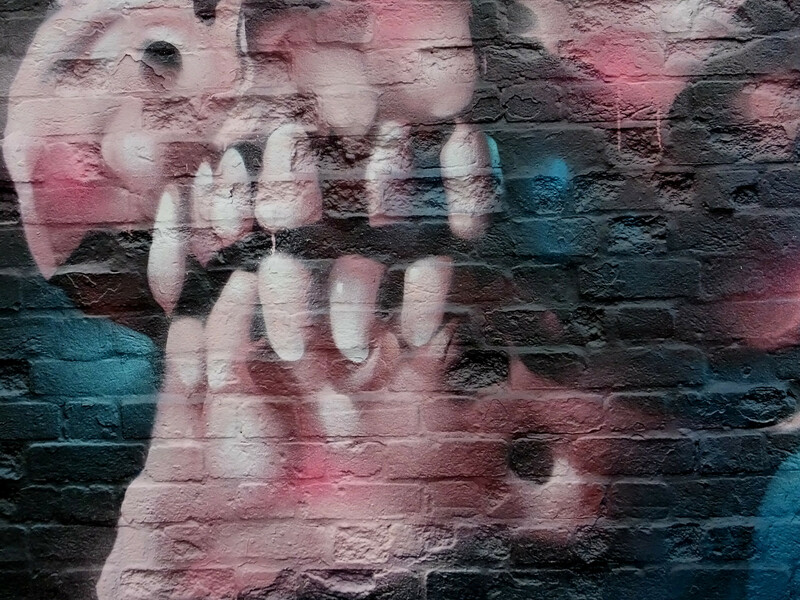 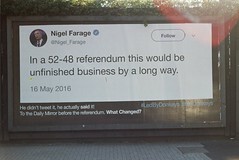 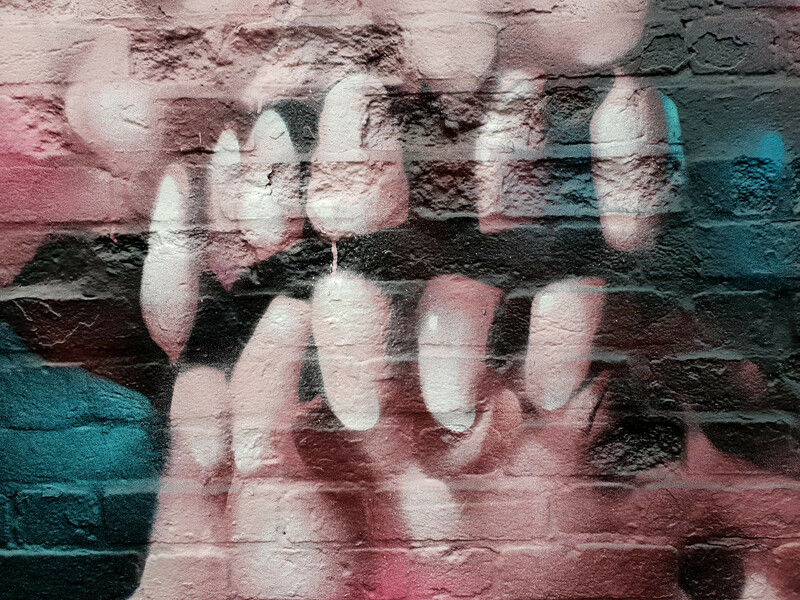 Moving along and now some brand new work from 2019 – which leaps straight off the black bricked wall and commands your attention. 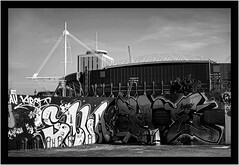 Step forward Cardiff based artist Rmer alongwith friend, and fellow artist, Tizer who painted their latest masterpiece in the small park. 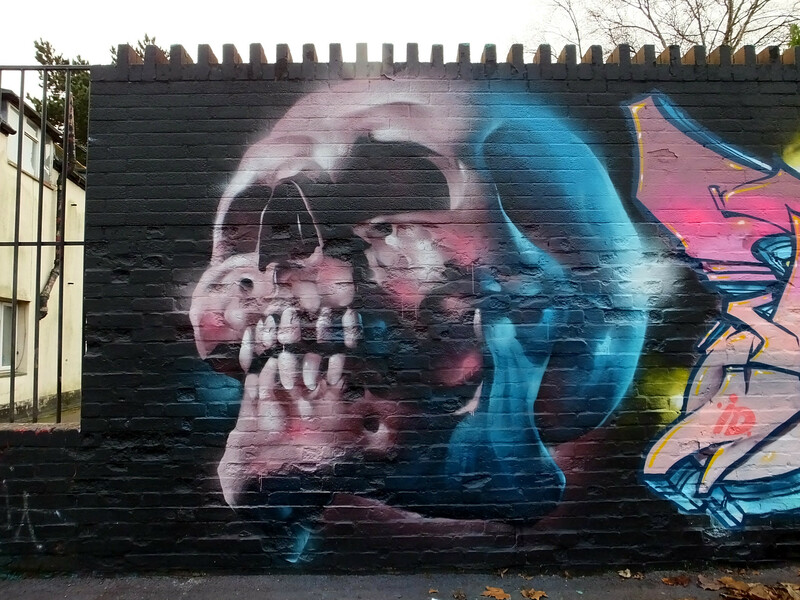 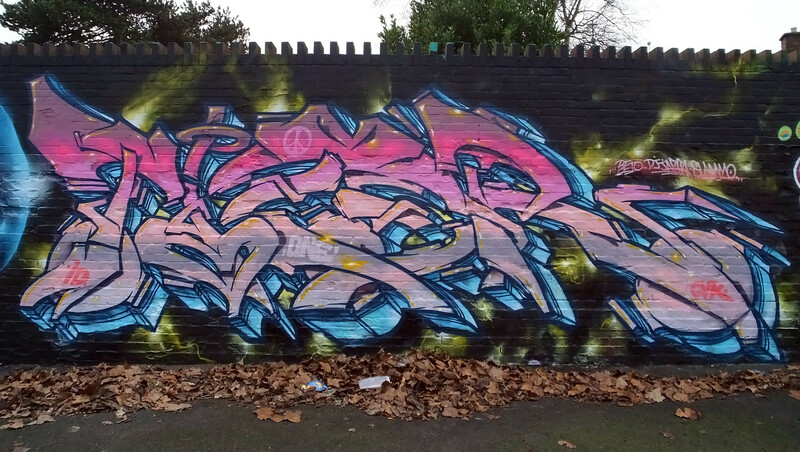 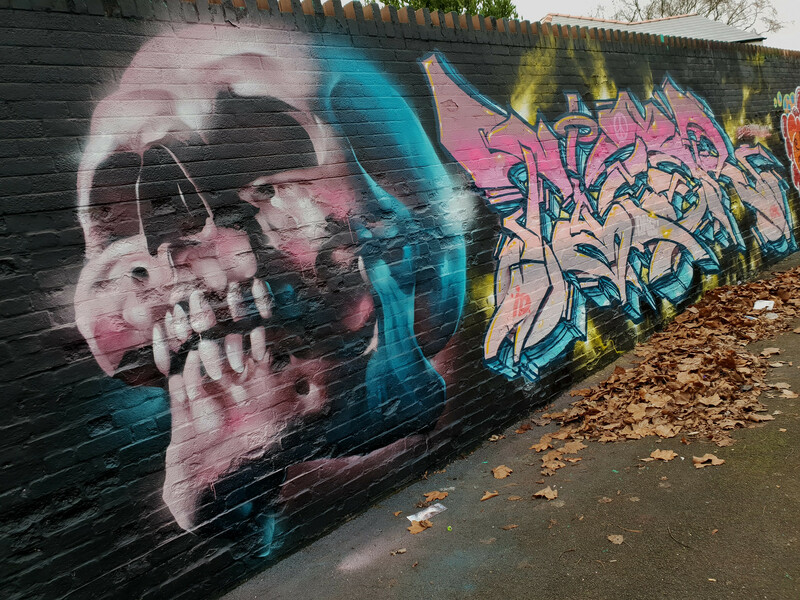 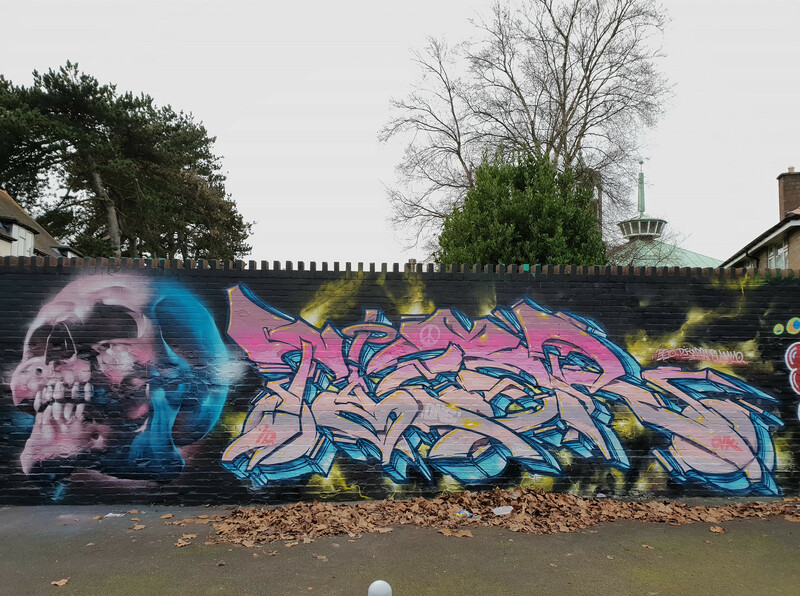 Tizer’s vibrant wildstyle neatly nestles next to Rmer’s mesmerising skull. 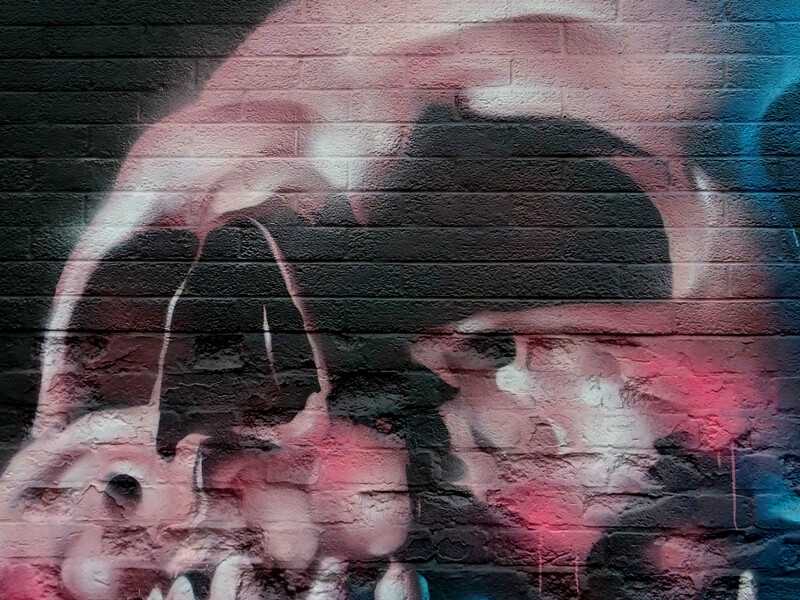 Now one of Rmer’s trademark designs – here this cranium is carefully crafted with splashes of coloured lights bouncing from the skull. 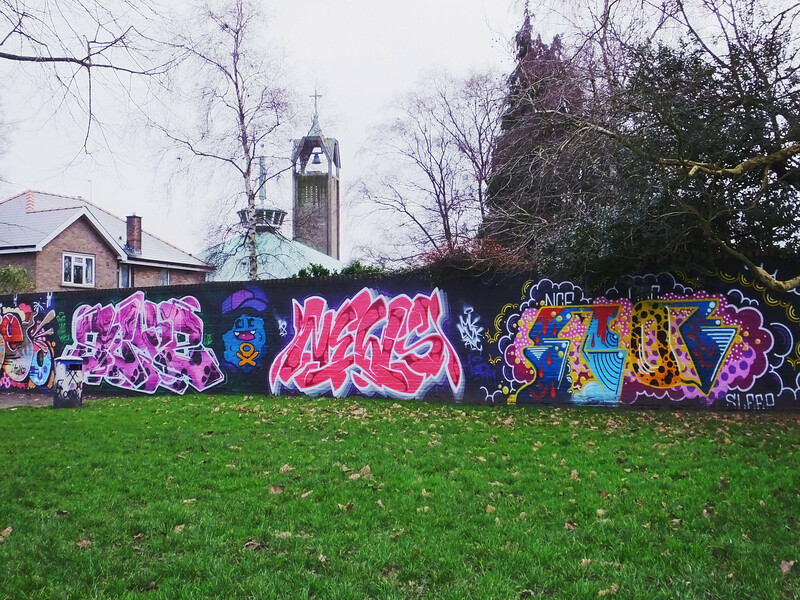 The striking wall is visible from around the whole park and is such a great backdrop for everyone who visits the Gabalfa based park. 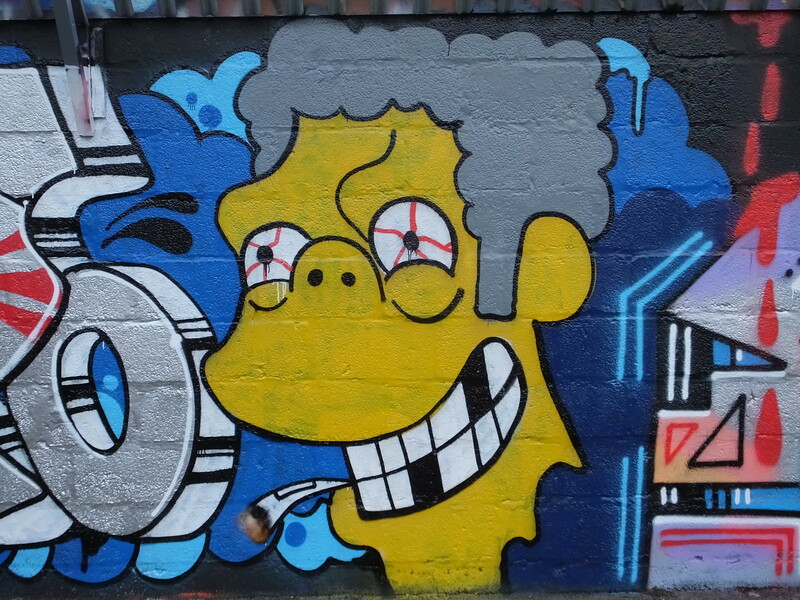 At the end of this whole wall is a corner which has had it’s latest makeover courtesy of Sleep and Ceres where a beleaguered Simpson’s character takes centre stage. 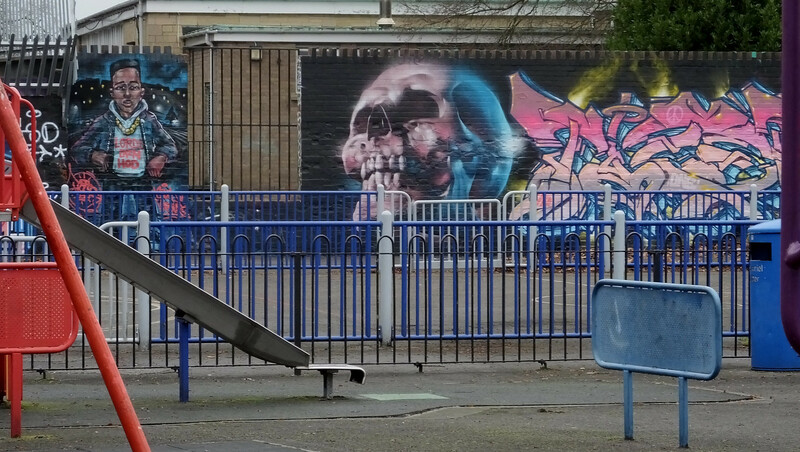 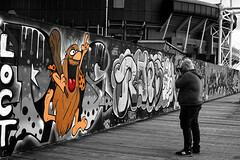 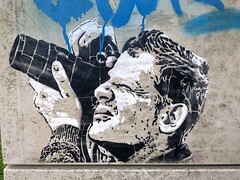 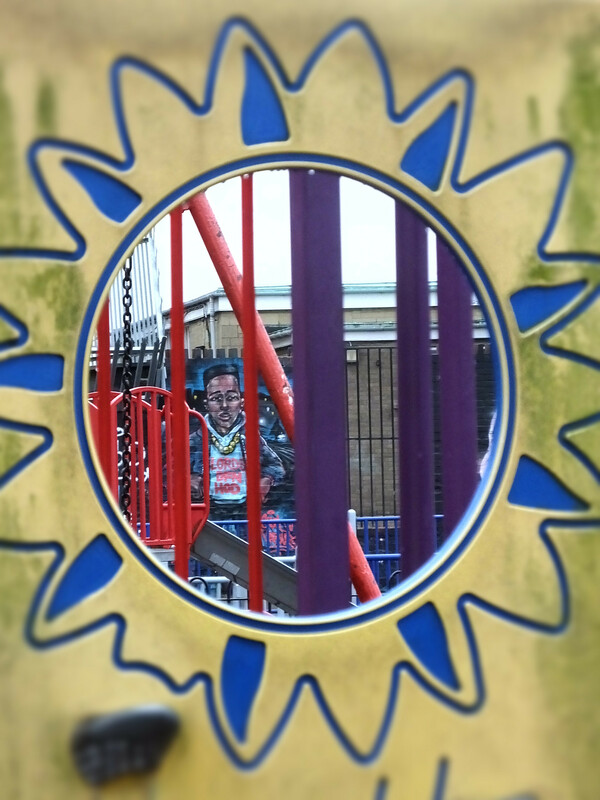 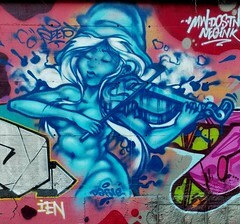 A park that is becoming more popular with street artists and well worth a visit for any street art hunter.